We’re Norwich’s first and only rooftop restaurant and bar, with 360-degree panoramic views of famous landmarks including the Cathedral, Castle and Carrow Road. Sitting proudly on the top floor of The Union Building on Rose Lane, there is a beautiful contrast between the former Aviva building’s 1970s Brutalist architecture and our newly refurbished rooftop venue. During the day, the building is a thriving office for a variety of local businesses who come up for air amid the daily grind. Of an evening, the Rooftop Gardens transforms into a hub for all to unwind in style. We’ve shaped our menu around local ingredients with a contemporary twist. We’ve stocked the bar with your favourite tipples. 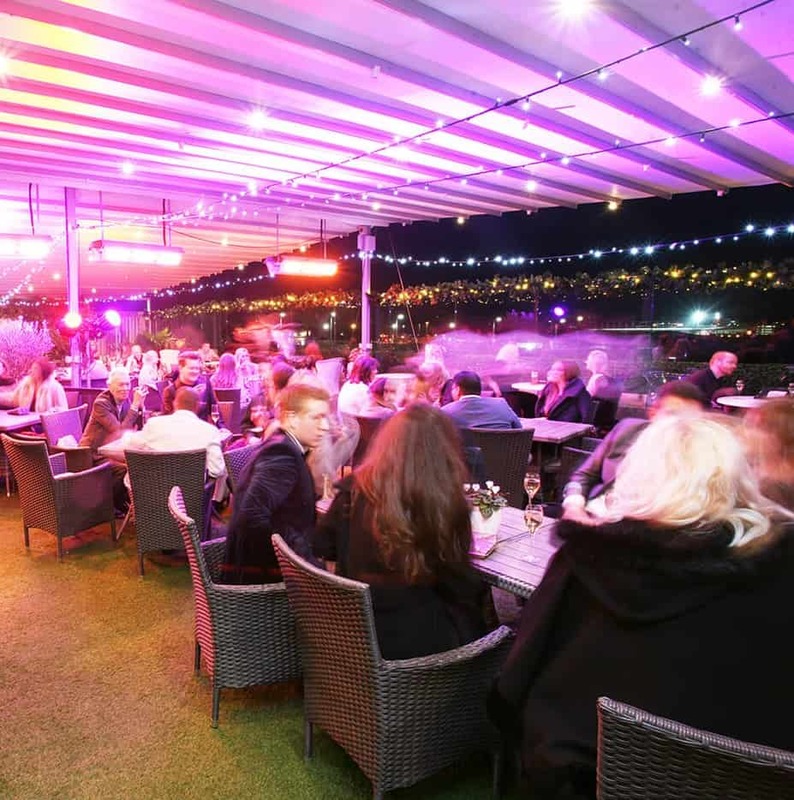 And we’ve created an unrivalled spot for watching the sunset over your favourite city.